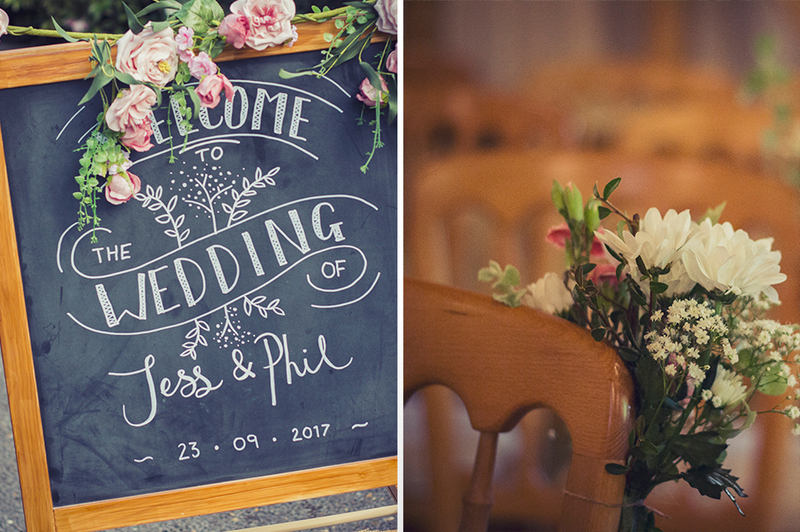 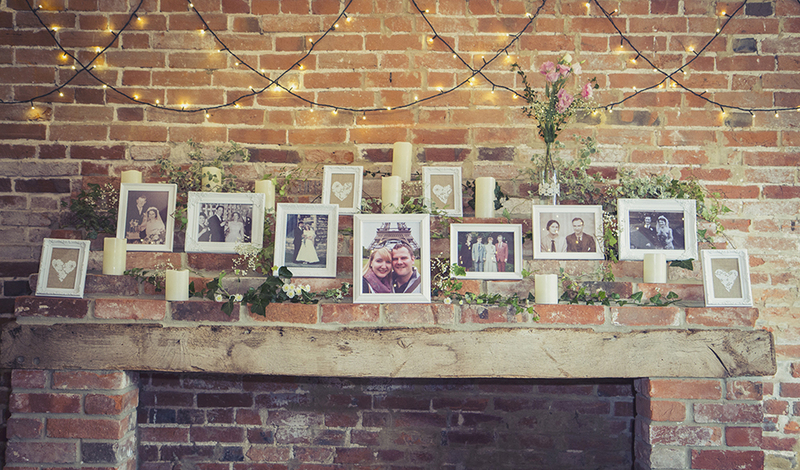 Jessica and Phil wanted to create a relaxed, casual atmosphere for their beautiful early autumn wedding. 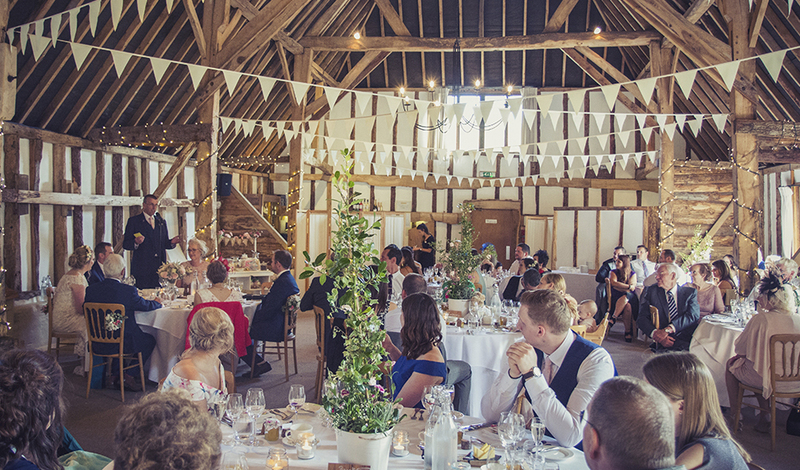 Their vision for the day included a memorable setting where their guests could enjoy each other’s company with music, cocktails and games and Clock Barn gave them everything they wanted. 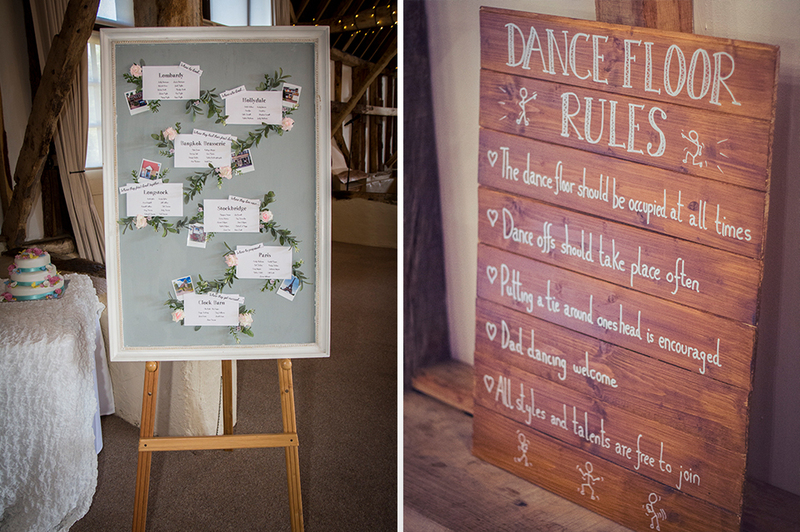 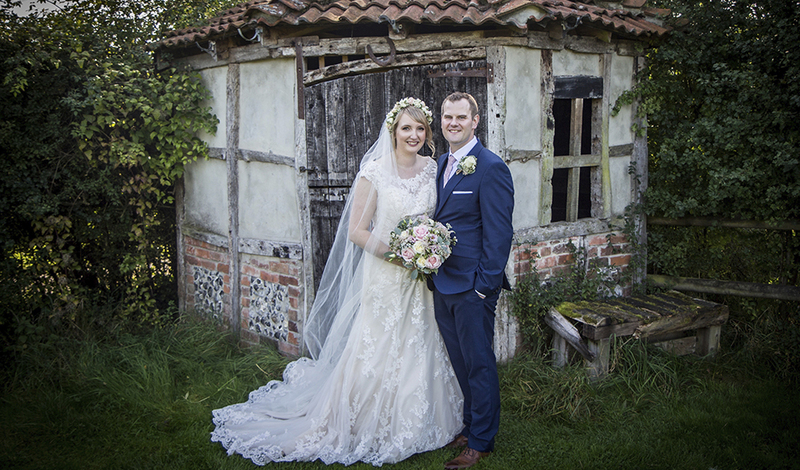 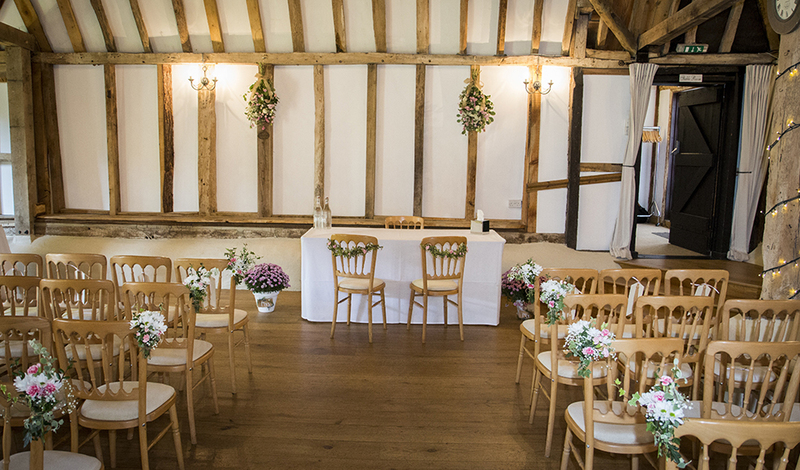 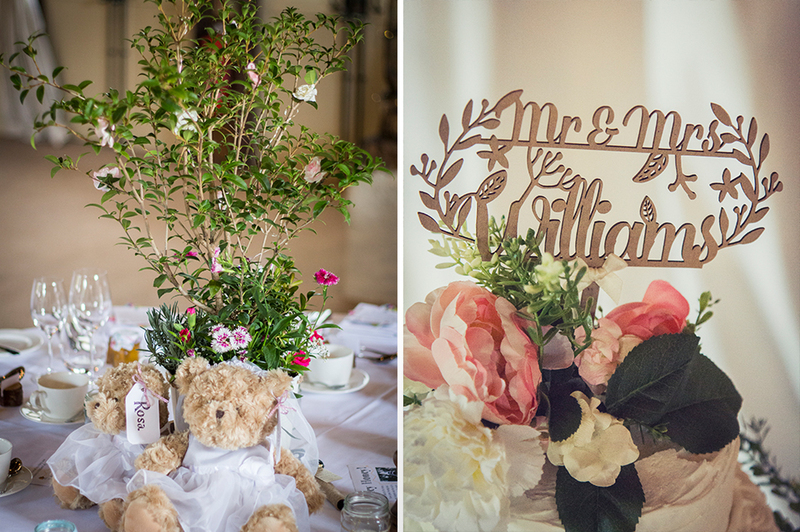 From the outset, Jessica and Phil knew that they wanted lots of flowers and home-made decorations for their wedding day and their floral theme suited Clock Barn perfectly. 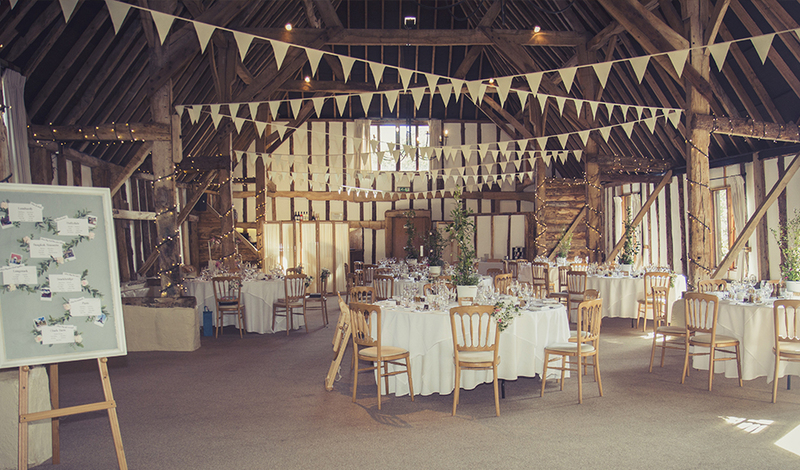 The floral decorations included ceremony and reception arrangements included faux flower garlands, made by Jessica, that decorated the archway in the main barn and even the cake. 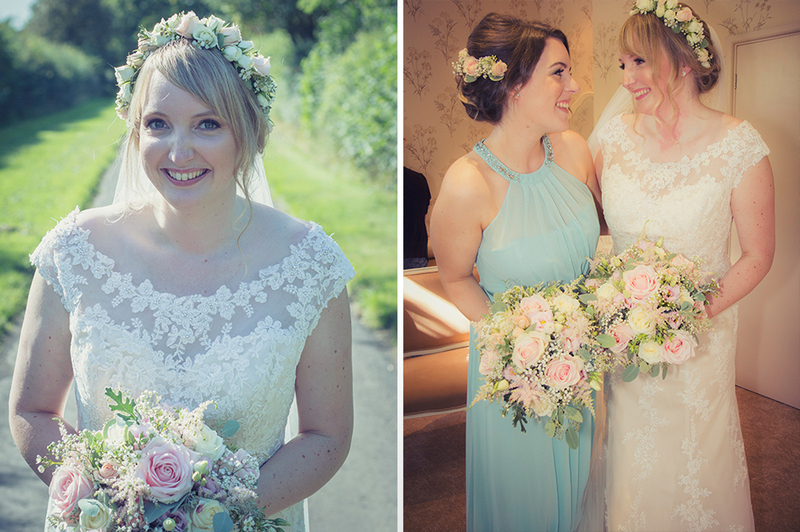 Jessica also wore a flower crown and a bouquet which she hardly put down all day and this was perfect for an autumn wedding. 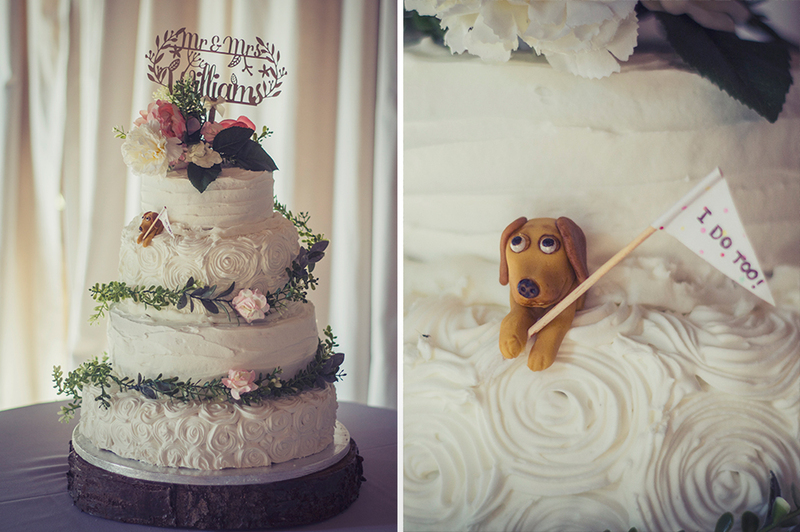 Jessica also made her own wedding cake, a fabulous four-tier traditional fruit cake where each layer included a slightly different blend of flavours. 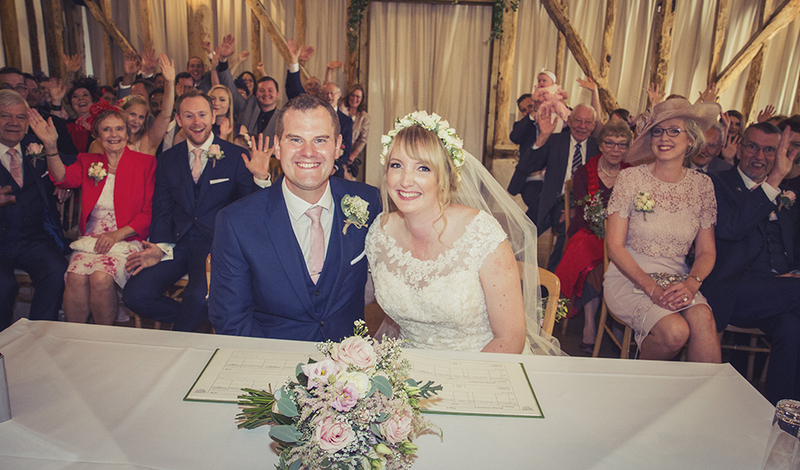 Jessica wore a stunning Mori Lee wedding dress from Elderberry Brides and she accessorised this gorgeous gown with earrings from Accessorize, a pair of pretty peep-toe flat wedding shoes and her adorable flower crown. 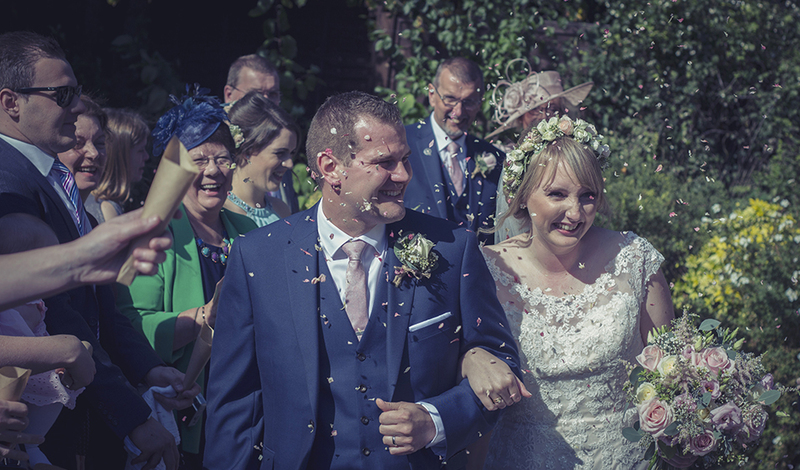 Phil and his groomsmen opted for suits from Marks & Spencer that worked well for all of the men in the wedding party. 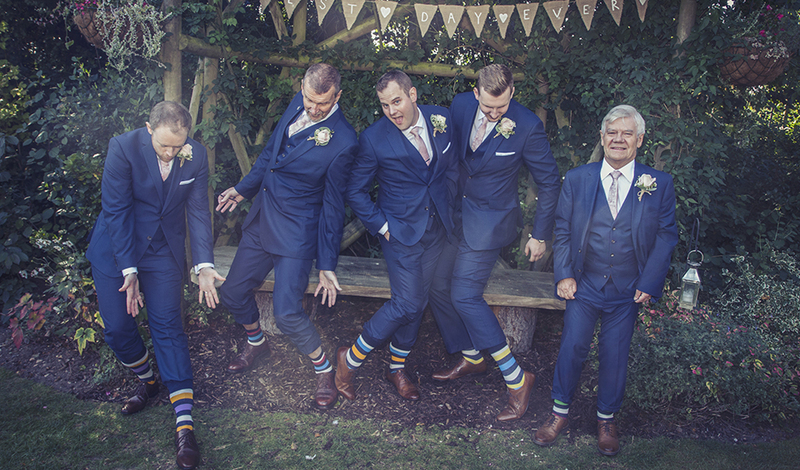 The groomsmen all wore different colour striped socks too for that essential ‘crazy sock’ photo! 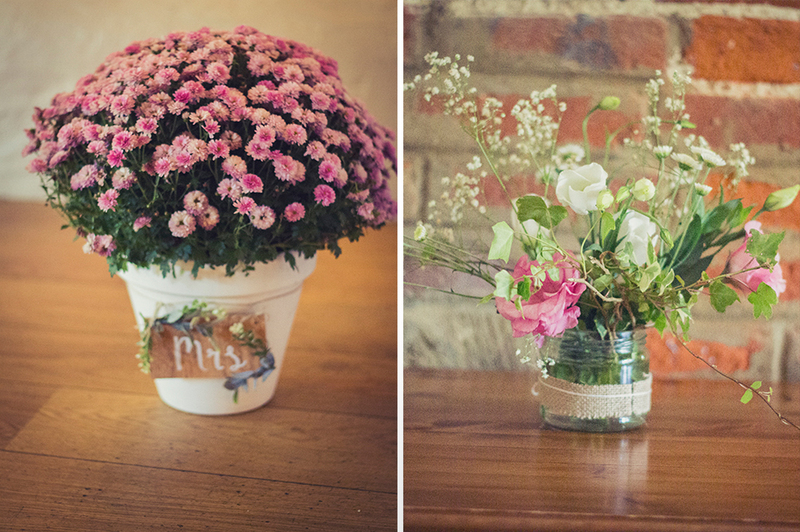 Jessica arrived at Clock Barn on the morning of the big day and used the Bridal Room to get ready, accompanied by her bridesmaids, her mum and a few glasses of prosecco. 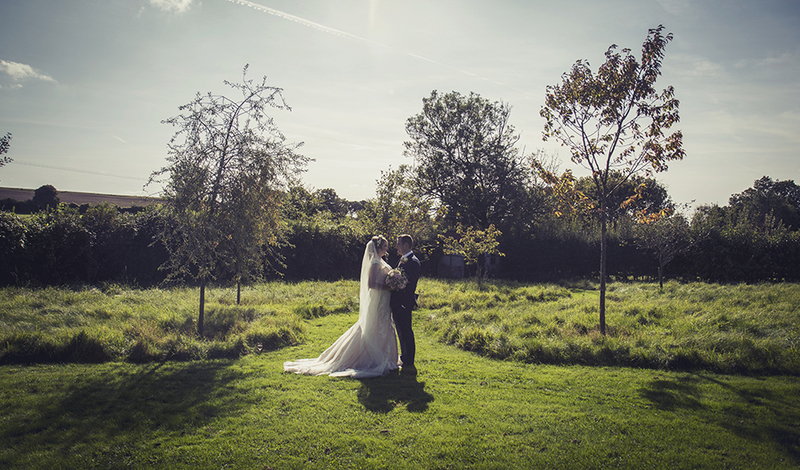 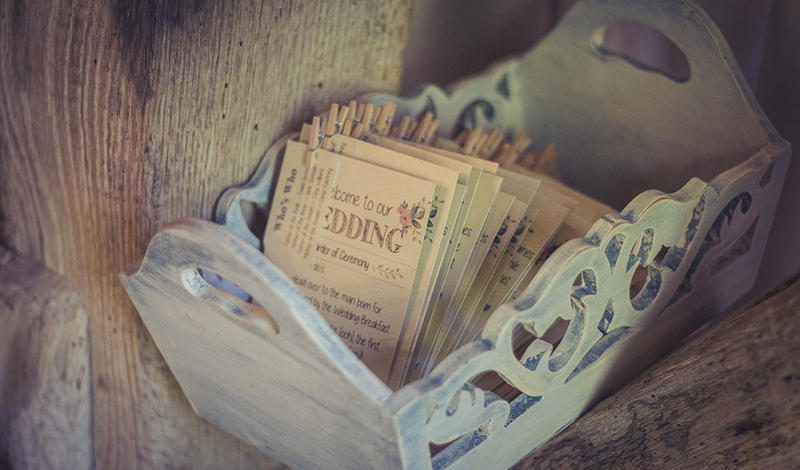 After the ceremony, featuring beautiful readings by the groom’s sister and the bride’s brother, the couple’s autumn wedding celebrations began. 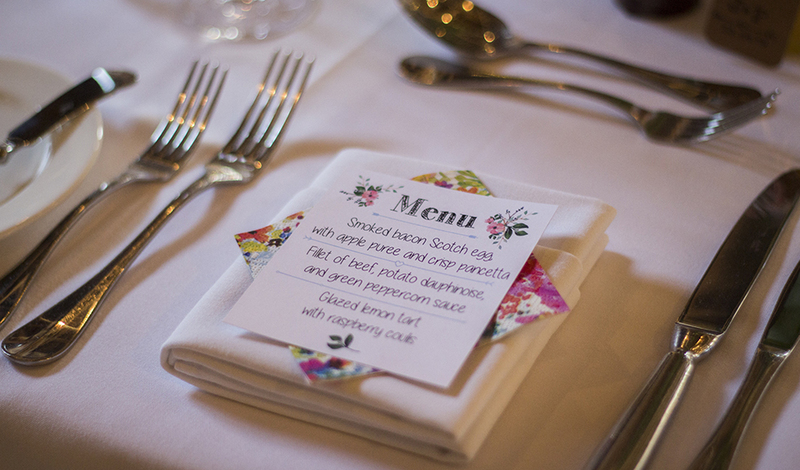 The delicious Sangria Flora cocktails were served alongside a wonderful selection of canapes before the wedding breakfast itself.